If you’re reading this post and you’re a fan of musical theatre, chances are that you belong to a message board or Facebook group about musical theatre. And you’ll know that in that group there is somebody whose threads are so predictable that you might as well not even open them up. For instance, if somebody posts a topic about Stephen Sondheim on the BroadwayWorld Message Board, it’s a certainty that a certain poster known to members there as After Eight will arrive to say something about how all the audience members were tormented and bored to death by the particular Sondheim show under discussion and that the reason for this is that the show is an awful blight on the face of musical theatre. No qualification follows. That’s it. That’s all there ever is. Time and time again. After Eight is one of many such folk that a musical theatre fan might meet on the Internet. The range of topics is wide: that Finian’s Rainbow is a satiric masterpiece and that the use of blackface in the show is completely justified; that My Fair Lady is a flawless masterpiece; that the book of Follies is flawed because it follows an a-typical narrative structure – and the list goes on. Very rarely are factors that might qualify those statements taken into account, factors like different social contexts, the craftsmanship of lyric writing and differences in genre and style. There once was a time when posts like these used to drive me a little bit crazy. Now, I brush them aside and move on to where the good discussion is. I don’t have time to waste on people who only echo an opinion they’ve heard somewhere else or try to pass off qualitative opinions about the artistry of musicals as if musicals, like all other art forms, don’t have a foundation in technique. Get a grip, folks, and use what you (should) know to back up what you say. It makes what you say far more engaging. This post is inspired by and a response to “I Am Over People Who Repeat Themselves (When I Didn’t Want to Hear What They Said in the First Place)” in Shirley MacLaine’s I’m Over All That and Other Confessions. 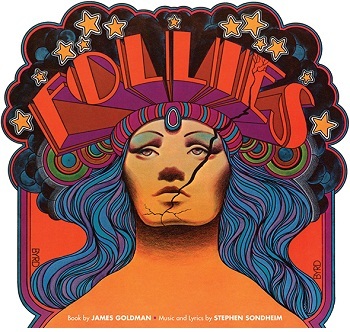 This entry was posted in Monday Meditation and tagged BroadwayWorld, Finian's Rainbow, Follies, My Fair Lady, Shirley MacLaine, Stephen Sondheim. Bookmark the permalink.